was a heart-breaking piece on how an elephant calf was set on fire by some rogues in Bengal, while the mother elephant helplessly tried to shoo the devils away. Painful as it may sound, this man-nature conflict is one of the most crucial conditions we are living with today. Man, with their burgeoning number and constructions in the name of development are rapidly eschewing the habitats of innocent wildlife. The tyrannical treatment of some insensitive goons towards a baby elephant is only a bell-weather of how ghastly the reality is. Man is gradually becoming the beast. plight of the innocent victims of ‘development’. 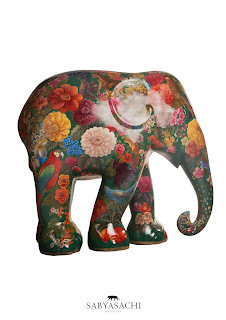 One such body is Elephant Family, a registered charity founded by the visionary Mark Shand, in England. 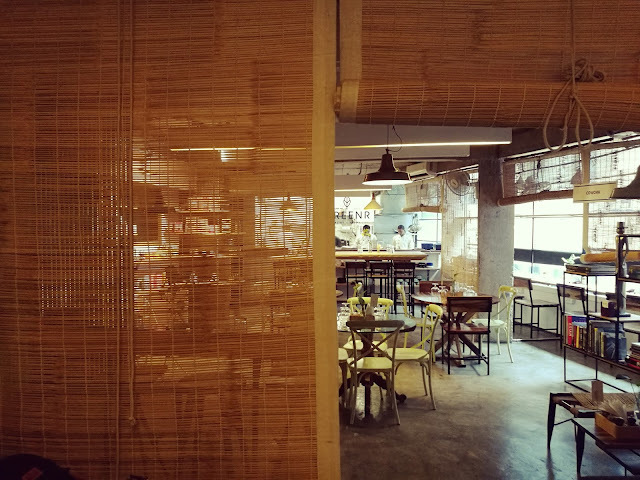 The organisation has been working for the protection of the gentle beast, whose dwindling numbers is a pointer towards the fast skewing up ecological balance. 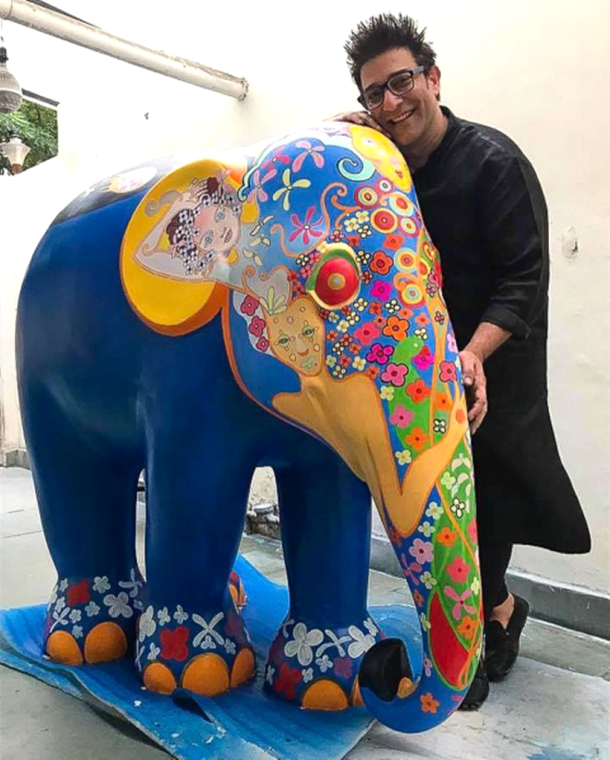 Following the success of Elephant Parade at London in 2010, Elephant Family has announced the Elephant Parade that will take place in Mumbai, in March 2018.
nation’s emerging talents have created little sculptures of baby elephants that are endearingly called Eles. All these sculptures will be auctioned in London at a glittering art gala, the vital proceeds of which will be channelised in securing the 101 elephant corridors across India for the endangered Asian elephant. 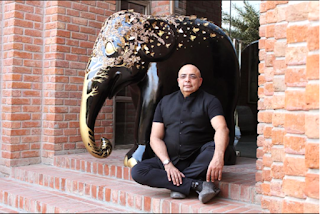 After the preview in the princely city of Jaipur earlier this month, a special viewing was held in Delhi two days back amongst much appreciation for the initiative. The capital’s cream got to witness some of the stunning Eles at the residence of the British High Commissioner, where Prince Charles of Wales and Camilla Parker Bowles, the Duchess of Cornwall, interacted with the artists and the designers. The sculptures move to Mumbai after this for the event to take place in March. 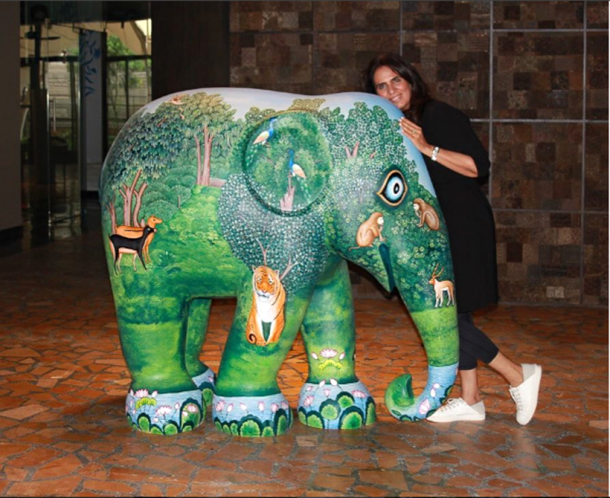 As I spoke to Ruth Powys, CEO of Elephant family, I noticed her passion for the cause. Her ardent plea to protect the gentle giant is loud enough and Elephant Family is being beautifully creative in furthering its plan to protect the beast. Ruth wore a lovely Sabyasachi ensemble at the event whereas my dear friend Kalyani Saha Chawla sparkled in a Rohit Bal ivory beauty. Here’s to the beloved tusker!